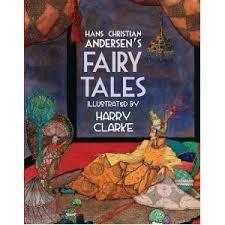 The 14/18 project presented several Hans Christian Andersen fairy tales linked together by incorporating The Journey of the Bell tale into each story. In the Journey of the Bell, two 10-year old girls Ida and Elizabeth, one a tom-boy, the other not a tom-boy set off through a deep forest to find a mysterious bell. Being of the age when girls just start going through puberty and become well…not very nice to each other, they fall out. The two girls’ quest to find the bell are interwoven into several of Andersen’s fairy tales: The Shepherdess and the Chimney Sweep, Mother Goose, the Old man and the Circus Flea, the Chinese Imperial Gardens, and of course The Ugly Duckling. The morals in these tales cause them to grow up and repair their friendship. The cast was delightful as they used simple costumes and excellent amusing dialect variations to swiftly change characters. The setting, when I saw it, in Volunteer Park, was perfect for children and it only lasted one hour. Director Shawn Belyea and the talented actors, Courtney Bennett, andy Buffelen, Rachel Delmar, Amy Escobar, David Goldstein and Sarah Winsor, deserve a lot of credit as the production oozed creativity. It is a must see for any family.